This is the perfect healthy start to the day. 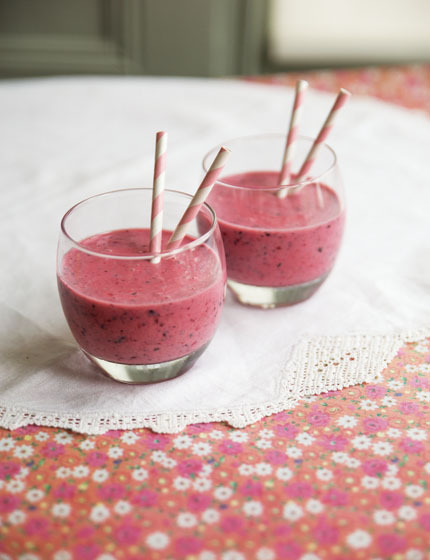 You can of course use fresh fruit, but the frozen berries give this drink a lovely texture. Feel free to play around with other fruit combinations, such as strawberry and banana or pineapple and mango. See how quick and easy it is to make this smoothie here.